Sol LeWitt's Wall Drawing #1136 went on display in Turner Contemporary's Clore Learning Studio from 29 November 2013. The installation team spent two weeks re-creating the piece for the gallery. 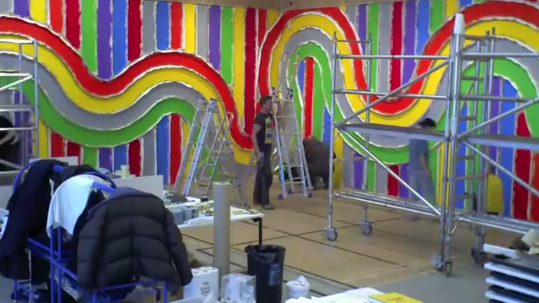 Watch our time lapse film of the installation for an insight into the process.